Welcome to our guide for the area around Bonnington Square in Lambeth. Below we present a selection of upcoming events, local attractions and great places to eat and shop. 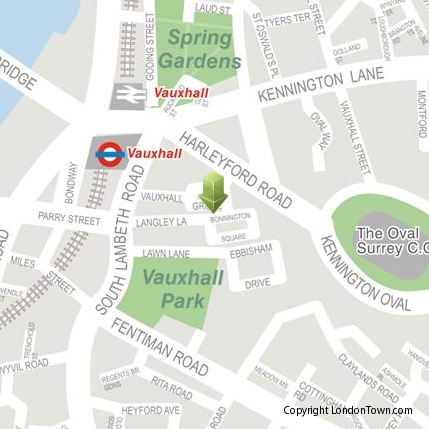 The nearest station to Bonnington Square is ‘Vauxhall Tube’ which is about 5 minutes to the North West. via LondonTown.com | Bonnington Square Guide | Bonnington Square London, SW8, England, UK | London Streets by Street.